Pariah’s Pasadena White model humbucker is a stellar take on the late 70’s tone coming out of a certain southern California party-rock band. And Pariah definitely cements Detroit as “Rock City” with tones like this. 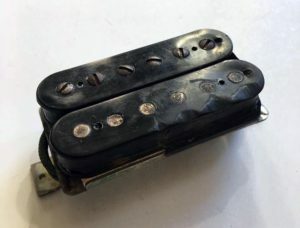 Most of the Brown Sound chasers agree that a hotter PAF style humbucker is best considered for what was going on the very early albums. A hallmark of a PAF is the clarity. And that’s something the Pasadena White definitely brings to the table. Why is that a big deal? Seems to me that a lot of options throwing their hat in this area might be listening to what’s coming out of the speakers without consideration to other components involved. A hallmark of this revered tone is that saturated spongy “sag”. And yes, there are brands that put models out that compensate for that characteristic. 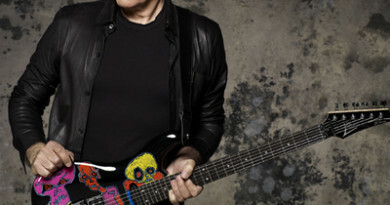 And in my opinion, that may or may not do justice to your Phaser or your Flanger or your Echo. How about we all let parts be parts and not try to be the entire rig? LOL! 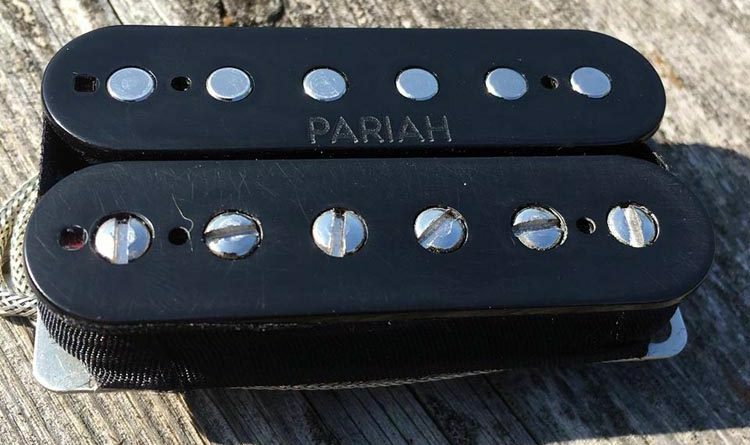 Pariah Pickups keeps that in mind when blending the special sauce of the Pasadena White. The fun paradox here is that this humbucker deftly covers most genres in a vintage-hot range offering that is awash in versatility. For this round, I’m installing the Pasadena White direct-mount style into the same single-hum guitar used for other similar models of this particular nature. 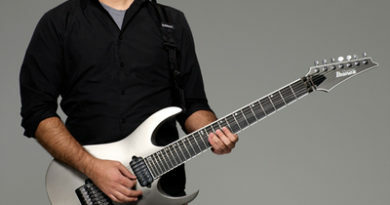 Double-locking German tremolo. Single Bourns volume knob into a Switchcraft jack. The vibe is a transparent voicing that is well-balanced across the range. Lows are full, yet refined. Highs have edge, without taking your head off. Clean amp tones are pretty darned responsive, giving you an impressive range of options from the guitar volume knob at your fingertips. Having a push-pull pot wired up, the cleans get downright shimmering from the Pasadena White. Dirty amp settings like the Pasadena White. A lot. From a bit of crunch to full-on distorted overdriven hairy greasy ground-shaking… OK, you get the idea. HaHa! The design lends itself to a singing sustain that defies expectation. What you put in to the Pasadena White is what it will give back out. Which is to say that this is very much a Player’s Pickup. You’ll quickly be going down the mean street (ha! a pun!) 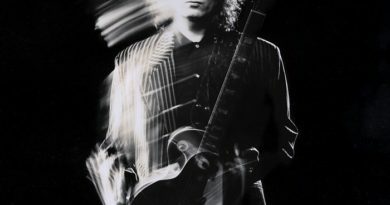 to hard rock, classic rock, blues, pop rock, spandex rock, heavy blues, and more! With Pariah Pickups being at a boutique level, the Pasadena White is pretty much made to order. Your choice of colors, bobbins, relic, lead wire, and so on. But you’re going to pay about half as much. For reference, this Pariah Pasadena White humbucker pickup evaluation was conducted with a Fractal Axe-Fx II XL+ featuring Celestion Impluse Responses and Fractal MFC-101 MIDI Foot Controller. Real cabs used were Marshall 1960B cabs loaded with Celestion Vintage 30s and G12M Greenbacks.